13 | August | 2010 | Through the seasons before us..
Ah, back to the City Ground. It’s always a good thing! It reminds me of going back to school after the summer holidays, catching up with those folks that you only see in a Forest context – getting back into the swing of a new season, all that optimism – or lack thereof. I really can’t wait to settle in my seat again for the visit of Leeds. Leeds have become somewhat a vogue in the midlands since the prominence of the Damned United film – you only had to pick up the press last weekend to see the parallels drawn between the film and reality when a Clough once again took a side to Elland Road. They only went and won, too – with a solid attacking performance if a ropey defensive one – which highlighted one key thing, it’ll take something decent to get past Kasper Schmeichel even if his defenders are a bit match rusty. Whether the media make the same fuss over Forest, a bit part player in the Damned United, facing Leeds remains to be seen – probably not, however given their recent fortunes and their ascention to the Championship our Yorkshire visitors certainly attract probably more than their fair share of media attention, making this their second televised appearance in – hmm, two games! With two defeats in two games on the road the Reds will be keen to make amends on Sunday in their first home game. 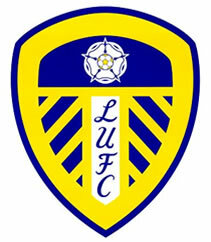 Leeds on the other hand recovered well from their early disappointment against Derby and gave Lincoln City a good pounding in their Carling Cup tie in the week – so will be eager to take that forward and notch their first league win of the campaign. On the personnel front, Kelvin remains a slight doubt at centreback having missed the midweek trip to Bradford with an injured ankle. As far as I’m awared our international quintuplet of Earnie, Gunter, Bertrand, Moloney and Raddy are unscathed from their differing levels of involvement in their games. Earnie earned his fiftieth cap for Wales which is a cracking milestone – well done fella! Our visitors are missing Paynter and Snodgrass through injury, and Gradel and Somma are both serving suspensions. All eyes will be on former Notts ‘keeper Kasper Schmeichel though, to see if he can turn in another impressive performance as he did against Derby to keep our so-far-goal-shy attackers at bay. Whether or not the likes of Thornhill, who made an impressive appearance despite the defeat at Bradford, will have elevated themselves into first team contention remains to be seen – I suspect a place on the bench is the best he can hope for given the competition for his position – but of course, the big question given the latest round of probably-ridiculous rumours will be whether we might have a new signing or two to sneak into the side. In off-the-pitch news, the sizeable obstacle of the County Council – who, let’s face it, aren’t going to spend money on anything at the moment – means there are suggestions that the ground relocation could still be on the agenda – but at the, in my opinion, much better location of the Eastside area next to Nottingham itself. If that were the location of a new ground I could get behind that, I think it’s a great location. Back to the match, it’s going to be a tough one – assuming that Wils is fit we should be in reasonably good shape at the back, but indecisiveness and a lack of final ball or finish has thwarted our attack – so I’m struggling to see many goals from either side in the fixture. Leeds will be keen to impress and will have a lot of fans to back them, so it’s one of those classic ‘could go either way’ games. You’d like to think we could win, but then I thought the same on Tuesday!